Introduction to Electron and Ion Optics provides the theoretical background needed to understand the subject matter and even be helpful in laboratory works. Seven major parts comprise the book where each focuses on a certain aspect or field. 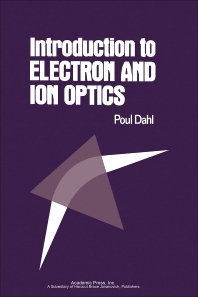 The book begins with an introduction to the general principles about electron and ion optics, specifically as basis for the design of the optical components used in particle analyzers and accelerators. The following parts tackle different aspects such as geometrical optics; scaling rules and dispersion coefficients; fields (paraxial, sector, fringing, quadrupole); lenses (electrostatic, immersion, unipotential, etc. ); analyzers (electrostatic, spherical, etc. ); and space charge and beam production. Towards the last part of the book, there is an exercises section where various problems are given for the reader to answer. This book caters to students specifically in the field of physics.